This has been out in the news for a while, we just thought we did wait until we made an official report on this. 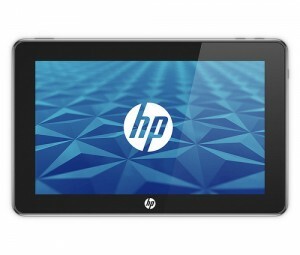 HP has decided to outst Windows 7 from its HP slate that was to compete with the iPad. We had reported earlier that HP was out of the game, well not exactly! HP was reportedly unhappy with the sloppy performance of Windows 7 on its slate and it not being as user friendly as the Apple’s OS. How ever HP has decided to release the tablet product with the newly acquired webOS operating system once the Palm buyout is complete in July. Another tech site Digitimes confirms that HP will run webOS on its slates. HP with this move has made it clear to Microsoft that “if you don’t show, you go!”, by giving it the boot. It is good to see that a software/hardware giant finally standing up to what the customers want rather than accept what is being given to it. It is about time for Microsoft to pull up its socks and create applications that are more user friendly and that respond fast enough and run smoothly. The slate is expected to be out in October, a few months away from the initial dates of June/July. There is no word on pricing. Previous Google Celebrates 30 Years of Pac-Man – Works on Apple! Next Could your car’s computer be hacked?